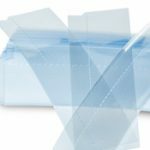 Tamper evident labels are intended to show proof of someone tampering with your valuables with labels that are an easy peel and stick solution. 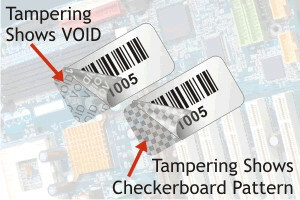 When you peel off each label the word VOID or a Checker pattern is left behind on the surface when the label is removed and provides visual security of tampering.. 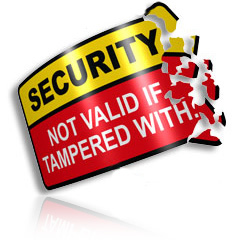 Identity any tampering to your product can easily be seen if anyone has tried to removed it. 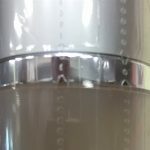 Tamper evident security labels are used in the cosmetic packaging industry as well as labels for healthcare products, vitamin & dietary supplements, nutraceutical products and various other types of security labels. Available on rolls or as individual labels. Contact Blue Line Labels and we will be happy to mail samples out to you. 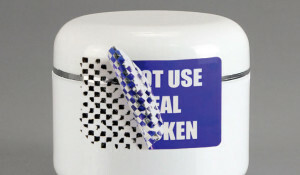 Blue Line Labels can produce your tamper proof security labels in any shape, size or color. We can also consecutively number or include barcodes on these labels for additional security and tracking purposes. 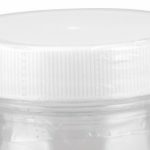 Tamper Destructible Labels are a thin white polyethylene label material that shreds or chips away when removed. This type of label material leaves the decal unusable. 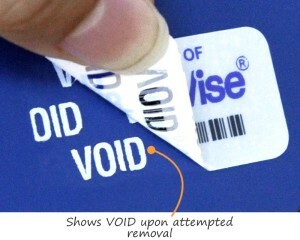 Once stuck, you would have to pick away from the label with your finger nails in small pieces. 1. Place individual plastic sleeve completely over your bottle. 3. 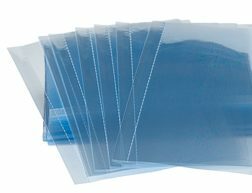 Film with shrink, tighten, wrap and seal around the contents of your product. Order as little as 100 for $18.95, 250 for 24.95 or 500 for 39.95. Send us a sample of your container and we will provide a economical solution. Learn more about Full Body Shrink Sleeves. 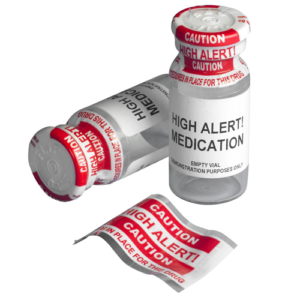 Call Blue Line Labels at 954-969-9500 or 1-800-609-7079 for additional information or for samples.